Careful research of extant garments is our standard when it comes to recreating garments from history. Take a look below to see a curated selection of some of Historical Wardrobe's more interesting, unique, complex, and just plain cool historical costume pieces. Enjoy. 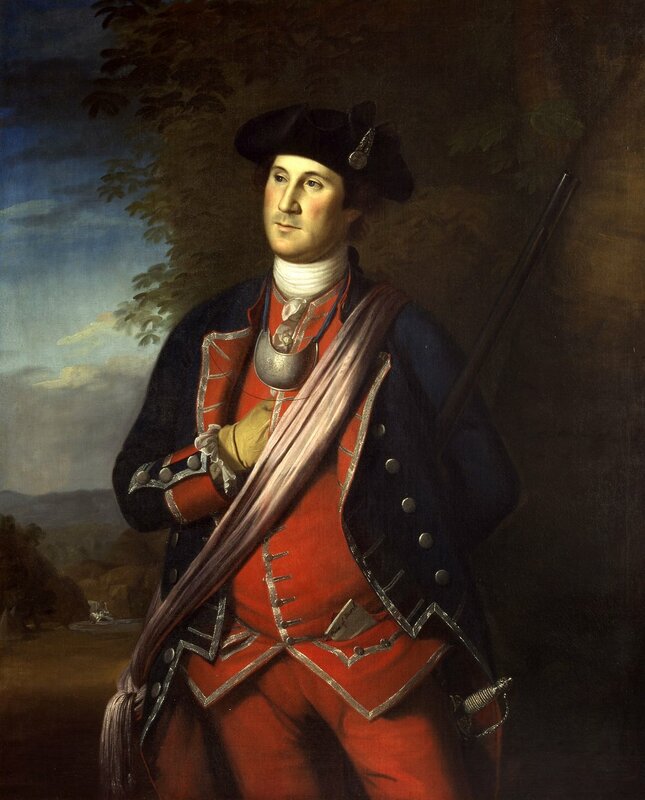 Before he became the hero of the American Revolution and first President of the United States, George Washington served as a Virginia Colonel during the French and Indian War. Washington, who had always wanted to serve in the British military, felt proud of this accomplishment, so much so that he elected to have his portrait painted in 1772 as you see below. Without knowing about the future Revolution, Washington felt that this service would be the largest impact of his life. This probably depicts how he was uniformed at the Second Continental Congress when appointed General-in-Chief of the Continental Army. 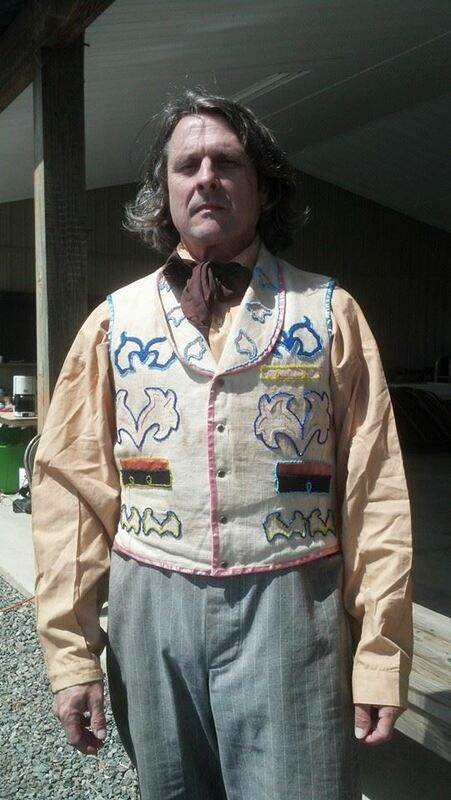 Our recreation of the patterned, buckskin vest that Tennessee hero Davy Crockett wore when he fought and died at the Alamo in 1836. This linen duster was worn by one of the "James-Younger" gang at their raid on the First National Bank of Northfield, Minnesota on September 7, 1876. The gang wore these distinctive dusters on their way into Northfield in order to conceal their guns but, once inside the bank, they dropped the dusters and demanded the money from the vault. The original garments still exist - shown here and now on display at the Northfield Historical Society. Our exact reproduction of Lt. Colonel Tarleton’s Helmet and Jacket are based on his most well-known contemporary painting and exacting analysis of the same. 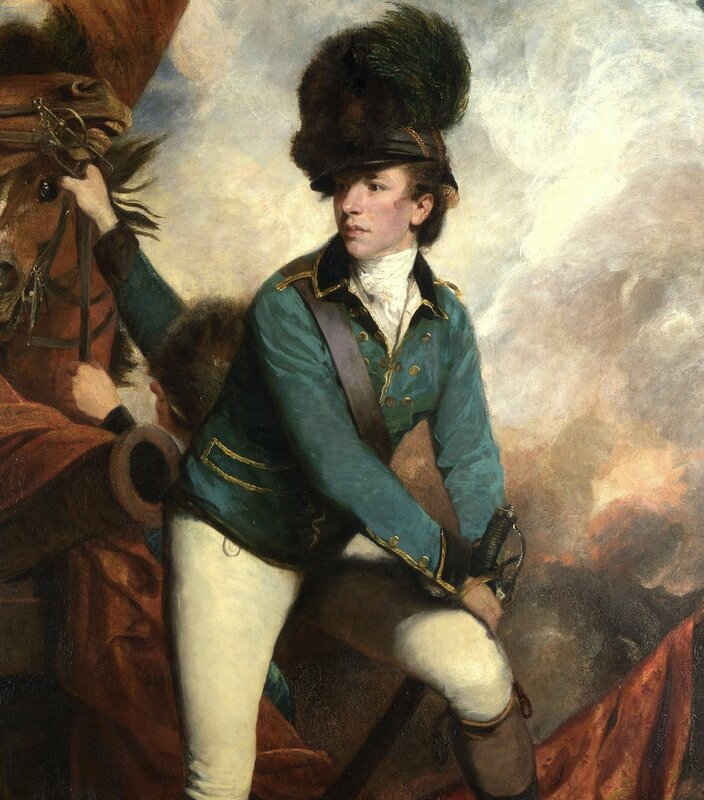 The construction and details are very unique to this man and his uniform according to details in the painting by Joshua Reynolds. Called 'Tarleton's Raiders', we also have 5 of the green wool and black trimmed jackets worn by the men of his legion. 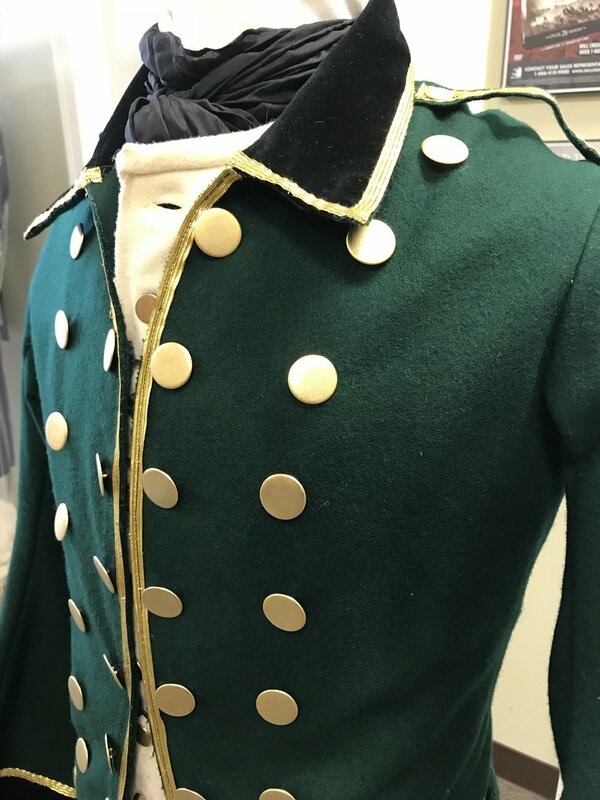 Tarleton’s green uniform was modeled on the standard uniform of the British Legion - a provincial unit organised in New York, in 1778 - but with officer’s gold trim, multiple rows of buttons and hook-and-eye closure down the entire front. As can be seen in close detail in the painting - no use of buttons or buttonholes for closure, but this style of jacket would have closed in the front - unlike an officer’s frock coat. We own exact reproductions of the two most frequently photographed and used uniforms owned by Confederate General Robert E. Lee between 1862 - 1865. Our Uniforms are complete including his tall riding boots… several different wide-brimmed hats… as well as matching vests and trousers. Two of our uniforms were made for the motion picture “Gods & Generals” and worn by actor Robert Duvall in that film. Our reproduction of Commander-in-Chief General George Washington’s war-time military uniform is based both on contemporary paintings of His Excellency created by artist Charles Willson Peale and the existing breeches and waistcoat on display at the Smithsonian’s National Museum of American History. It is made of Dark Blue wool with buff wool facings, lining and matching buff small-clothes. To complete the look, we have also reproduced Washington’s wool cloak and powder-blue silk sash — worn during the middle war periods. 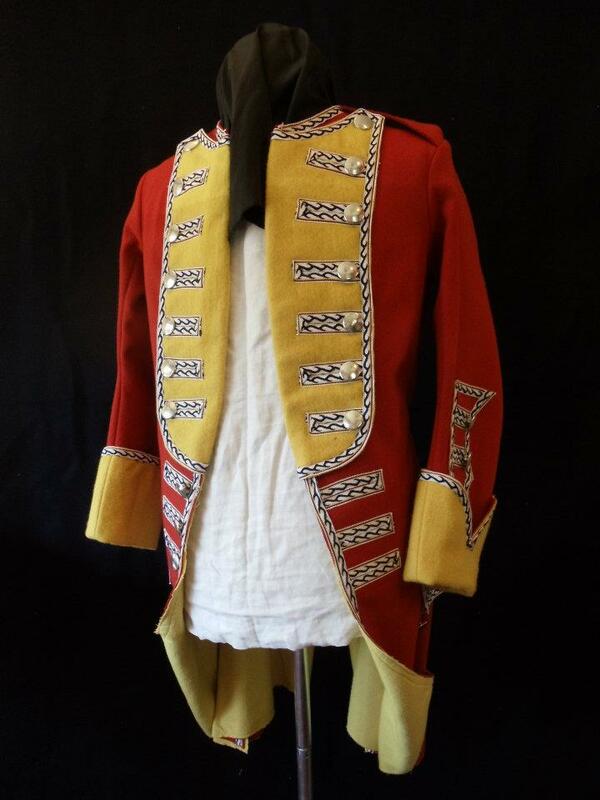 Historical Wardrobe owns the worlds only complete Uniform set which accurately represents Captain Thomas Preston and the eight Grenadier Guards (seven privates and one Sergeant) of the British 29th Regiment of Foot -- infamous participants in the Boston Massacre of March 5, 1770. Due to the incident, the regiment earned the nickname "Vein Openers." We have researched contemporary artwork and written accounts from before and after the event to recreate the uniforms as closely as possible to what would have been worn by these men at the foot of the Boston Customs House - even having the correct regimental lace recreated down to the stitch. This distinctive garment was first introduced by King George III in 1777 and an undress variation is still worn today by male members of the royal family only while at Windsor Castle. Seen in several famous paintings of the King during the period of the Revolutionary War -- ours includes an excellent reproduction of the Order of the Garter Star on the left breast. Historical Wardrobe has reproduced the wool & linen uniforms worn by a company of Grenadiers in General Santa Anna’s Mexican Army during the Texas Revolution and assault on the Alamo in 1836. The Grenadiers are noted by the red trim on the 1833 pattern coatees and the red pompon and cords on the leather shako. The coatees feature brass buttons and red wool turnbacks on the tails. Both white linen, dark blue (and grey) trousers were worn and sometimes civilian sandals in place of leather brogans when the soldiers shoes wore our on campaign. This Cadet Coatee is the dress uniform jacket worn by all Cadets at West Point, Virginia Military Institute, The Citadel and other 19th century Military Schools. 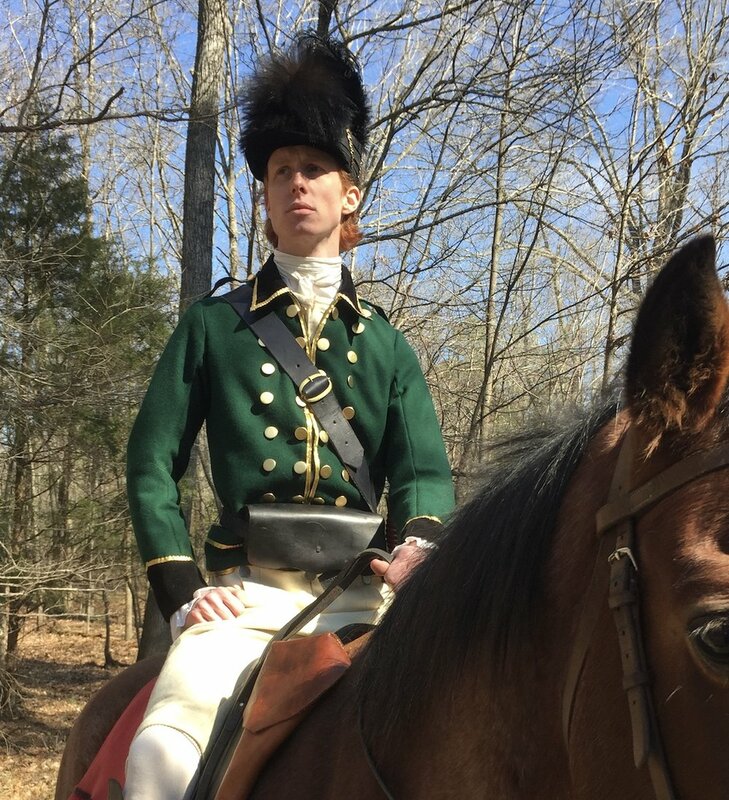 Our reproductions follow the distinct cut, style and button design of the coatees worn by Cadets in the mid-19th Century - both before, during and after the Civil War. We also have the Cadet Kepis, Shakos and Wheel Caps to complete the impression. There are 40 brass Cadet Buttons on each Coatee. Copyright © 2018 Historical Wardrobe. All rights reserved.